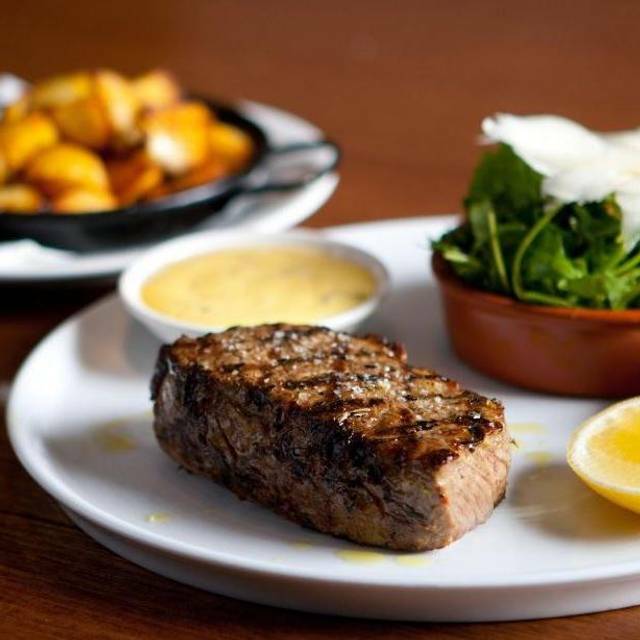 Pre-show dinners, we are located within minutes of The Palais and National theatre. 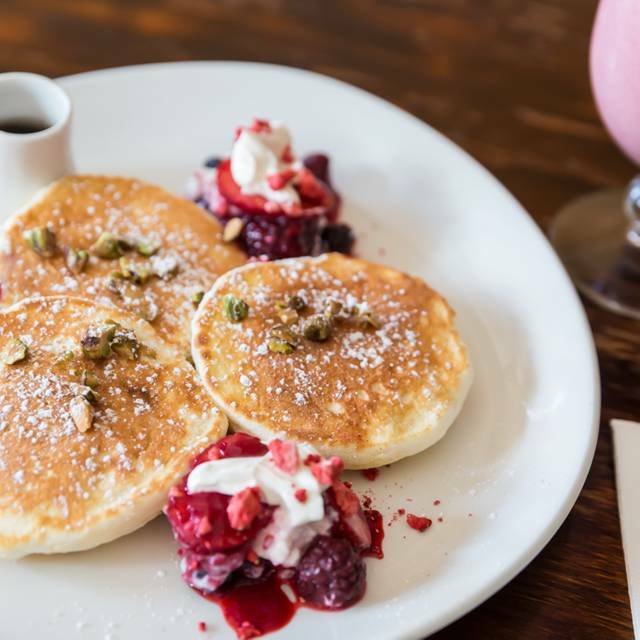 We are also a few minutes walk from Lunar Park and St.Kilda beach. 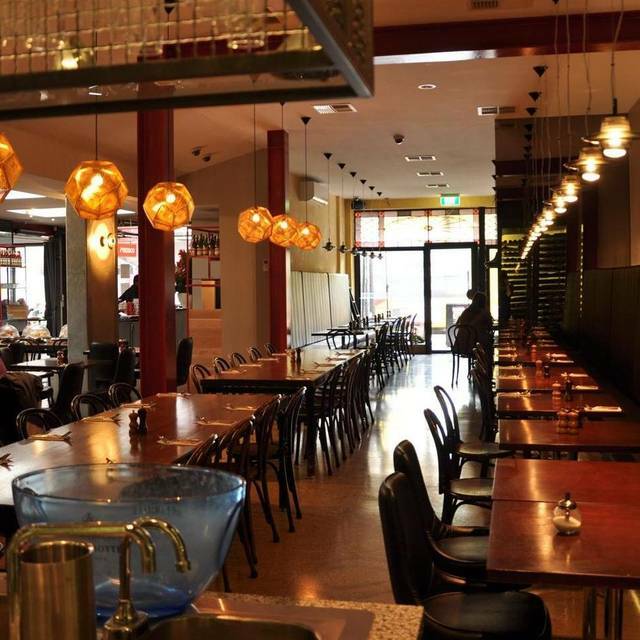 Our Acland Street venue has over 320 seats including indoor and outdoor dining. Our space is flexible and we can accommodate for parties of various sizes. The design of our venue allows for private and semi- private dining areas. 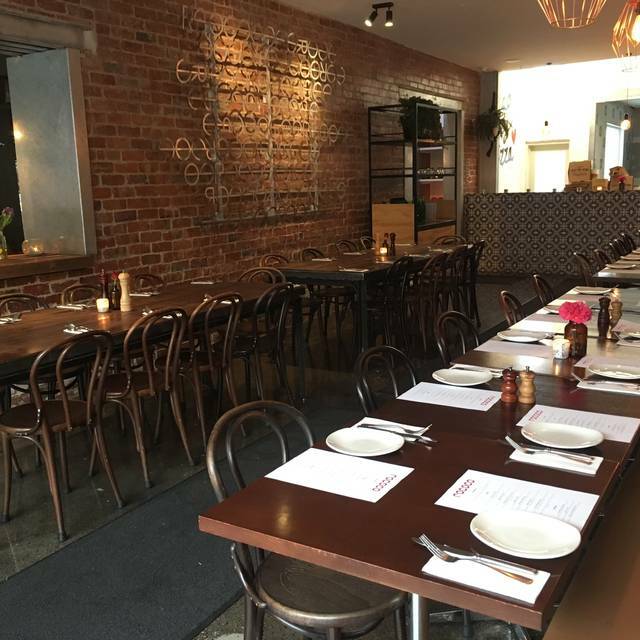 If you are interested in booking a work function, birthday or any other group dinner please contact our functions team at enquiry@rococo.net.au or fill in our enquiry form at www.rococo.net.au/group-bookings. 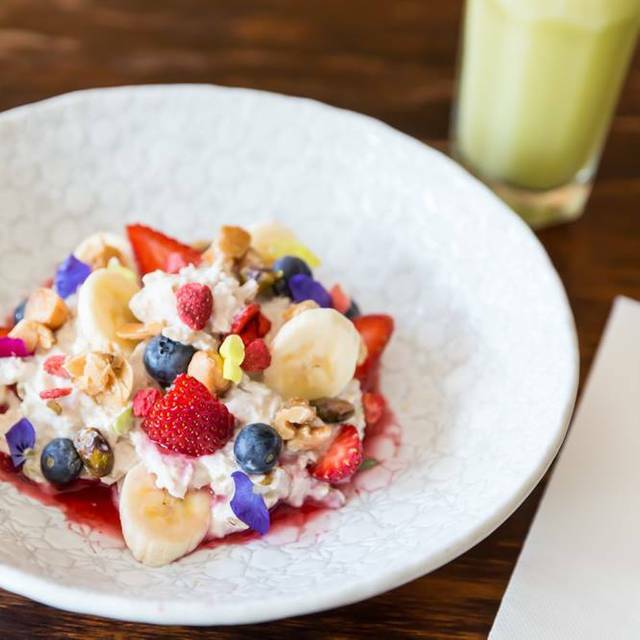 Rococo Acland Street’s atmosphere is both seductive and vibrant, bustling and intimate. 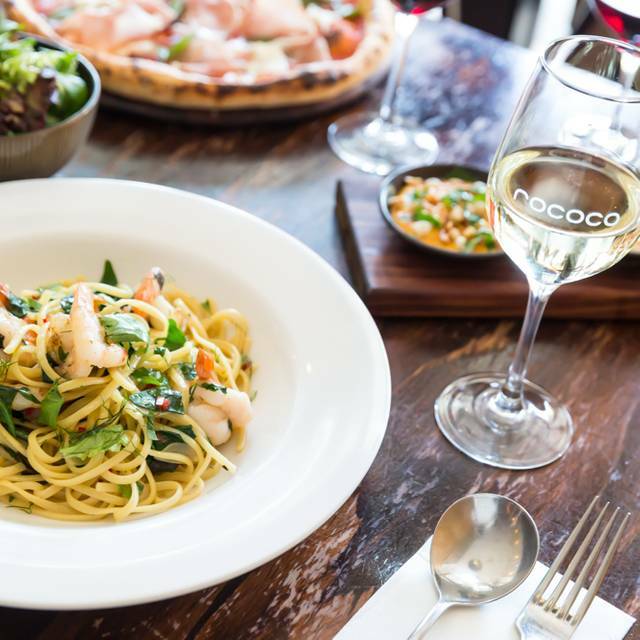 The place where Rococo’s signature antipasti boards and simple Italian flavours first came to be, it continues to attract diners from all over Melbourne some 10 years later. Set amongst some of Melbourne’s most loved sites – The Palais, The National Theatre and St Kilda beach to name a few – our expanded restaurant space is bigger than ever, yet remains cosy and flexible, with various spaces available for functions and plenty of nooks for private dining or close conversations. 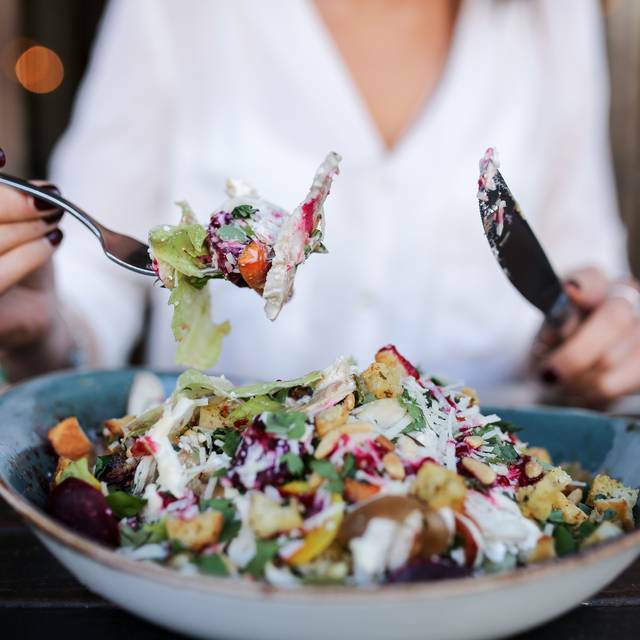 Join us for a meal of many courses; a hearty breakfast to start the day, a jovial work lunch, a family get together or just a glass of wine to celebrate the end of a day. Oh and our Wood Fire Pizzas are a must. 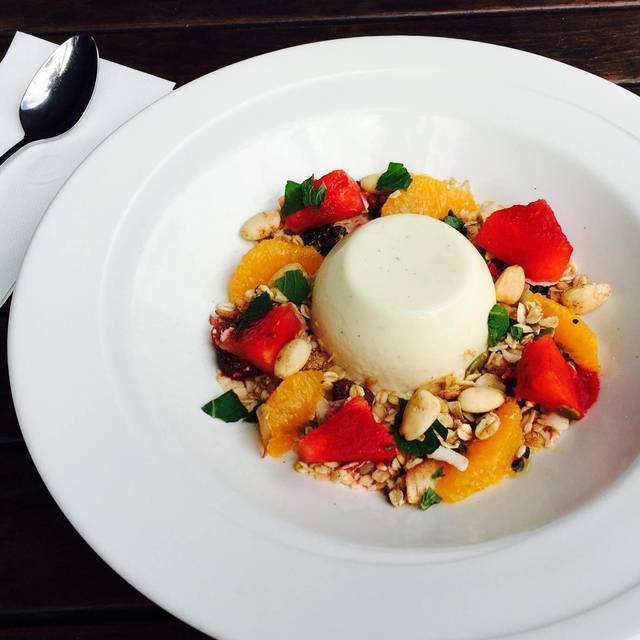 Enjoy the authenticity, quality and warm hospitality of modern Italy right here in Melbourne. Al fresco outside seating also available. Great service, food and comfort. Thankyou to all and we will return. Highly recommended! Great Pizza, awesome steaks and superb service. We've been here twice & both times it has been amazing. The food is delicious & the staff are very attentive. Love the wood fire pizza! Would definitely be back. No need for restaurants in 2019 not to be accepting split bill payments. EFT terminals pretty much do it for them, and not allowing it just annoys patrons. We were not impressed when the six of us were not able to use three credit cards...none of us had cash (and who does these days)...which meant one person had to load their card and we had to transfer funds later. It's a proven and reliable place for a high quality meal. Food is very authentic, in particular the Brodo was spot on. On-line booking was straight forward and easy. This place is a favorite of ours, have been many times and will be back again. Great food and service!! 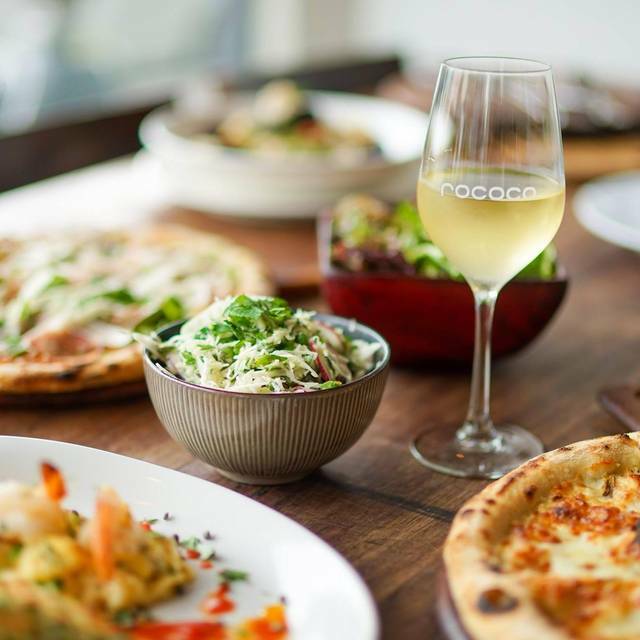 I've been three times to Rococo and each time have thoroughly enjoyed everything we've had. Loved the cocktails and the pasta dishes are amazing. Food was delicious! Great location. Close to Palais Theatre and Luna Park. Tram stop nearby. Dinner before a show, great food and atmosphere. Service was friendly and prompt. Great Food and Service only negative is the noise levels due to being open plan and wooden floor. Delicious food always. Quality of food is very high. Enjoyed by our party of 4. Great food, great wine and great atmosphere! Great food, great service. Enjoyed my birthday dinner. Will be returning! We had a great experience at Rococo last Saturday. The food was absolutely delicious and the service and atmosphere were fabulous. I will definitely go here again! Too noisy on a Friday night. Food is well prepared and service was attentive. Always great food and service every time I come here! Couldn’t recommend it highly enough! Have eaten here many times. Keep coming back because the food is good and plentiful, the service is friendly and efficient, it has a great buzz and overall, offers excellent value for money . Keep up the great work Rococo !! the food was great, but I did not appreciate being told there was a time limit on the table. I understand restauranteurs want to make a success of their business - but a customer is a customer. We had a great dinner , service was excellent even though very busy ! We will be back ! Online Booking service was very easy to use even when I had to adjust our time. Food was excellent and service very good. I had to page a waitress to order as no one had come back for a while but overall, great restaurant! Food and service were lovely however we found it was a bit too noisy inside during busy hours. Great location and atmosphere, fast and friendly staff and service. Delicious food. We ended up sitting a window seat which added a bit of interest. Everything from service to the food was very good and we would definitely return a later date. Would highly recommend this Italian restaurant. Food was at its normal best but service level on delivery of Mains and Drinks not up to previous standards and paid an extra 10% for the privilege. Food was amazing, however the service was very poor. It took 30 minutes after sitting down before we were offered some water/the chance to order and then the food and drinks (including starters) awkwardly came out at the same time. We were never offered coffee or dessert at the end (we had the intention of ordering this) and our plates were never cleared so we left to pay at the front. Seems they are going a bit cheap on the number of staff required for a full restaurant which is a shame when their food is very good.